When penniless businessman Mr Bedford retreats to Kent to write a play, he encounters Dr Cavor, an absent-minded scientist who has invented a material that counteracts gravity. This discovery enables the two men to set off on a fantastic journey to the Moon. But they are not prepared for what they find there - a world of freezing nights, boiling days and danger from a sinister alien lifeform, the selenites, creatures who have developed an intricate hierarchical society beneath the lunar surface. The First Men in the Moon ignited speculation in nineteenth century society concerning what lies on and beneath the surface of the Moon. By turns amusing, thrilling and stimulating, the novel is a classic of its genre. 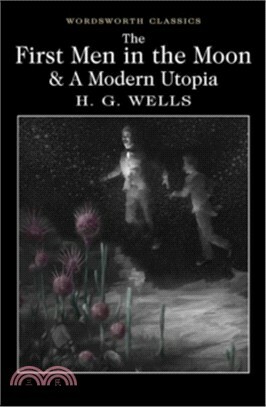 This volume also contains another of Wells's fascinating thought-provoking fantasies: A Modern Utopia in which two travellers fall into a space-warp and find themselves upon a Utopian Earth controlled by a single World Government.